What Is The Biggest Threat To Employee Retention Today? 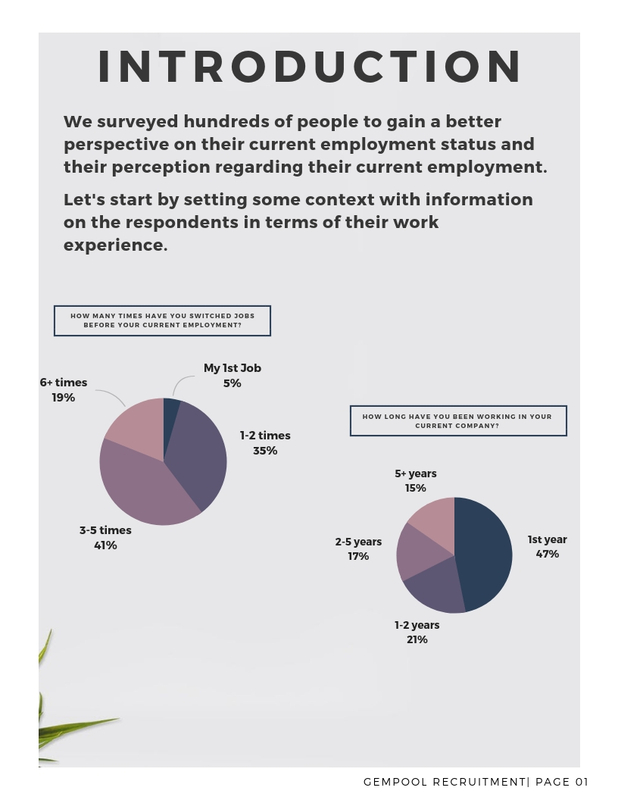 We recently conducted a survey towards the end of 2018 to try and gain a better understanding regarding the factors contributing to a lower employee retention rate that might exist with different companies. 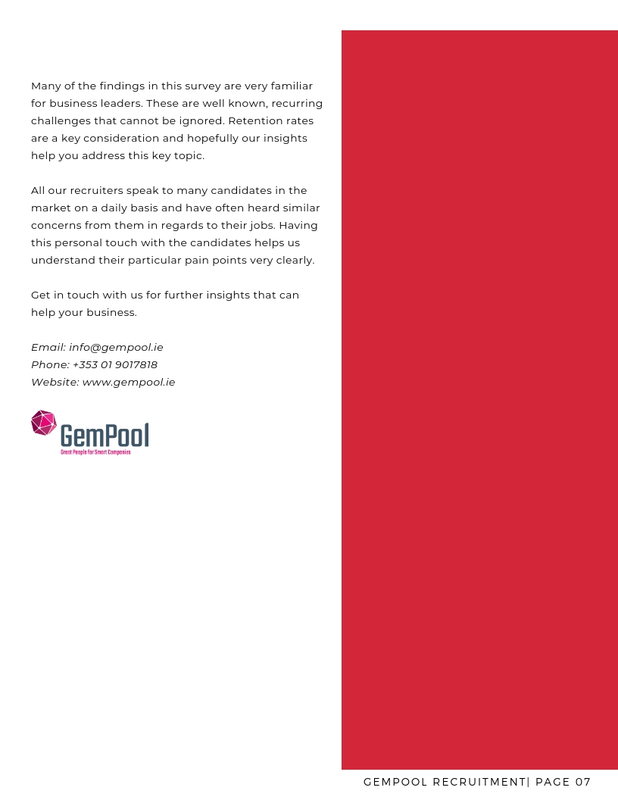 We reached out to people working in the Irish Market to attain proper feedback in relation their personal opinions concerning the reasons why they would be quick to switch jobs. 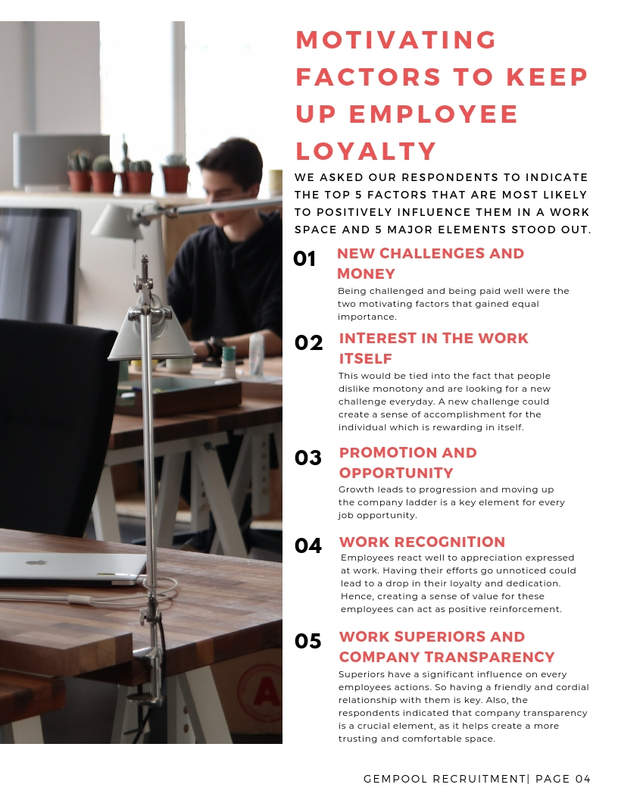 All the responses received supported our inital analysis, but a few distinctive trends were also drawn that helped us understand, what steps the company would have to take in order to go the extra mile for their employees. The entire process of scouting, screening and hiring new employees results in higher levels of expenditure for company. So, we tried to zero down and pin down the major factors that can contribute to this expense. Below a we have depicted the trends along with our own insights into countering these issues. 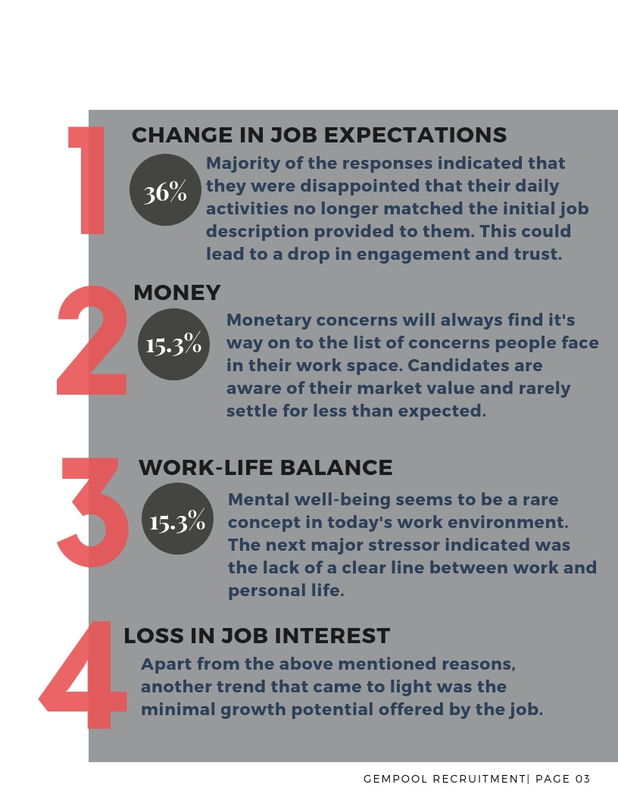 Hopefully these insights shed light on those areas that concern your employees the most and help you deal with them in a timely manner. We are always happy to help with any questions you might have about the current recruitment market so get in touch with us and to stay up-to-date with the latest developments in the IT sector follow us on LinkedIn, Facebook, Instagram and Twitter.